"You got to think ahead to the future... Folks like things that have actually been there..."
Check-Six has come to boast one of the more extensive & diverse private collections in the realm of experimental and test flight collecting, but also includes items from throughout history, including unusual items from many areas. Many of the items are commonplace souvenirs, while most are rare and truly unique pieces of history. 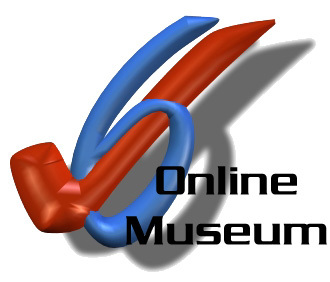 The 'Check-Six Online Museum' is actively seeking the following items for display in our collection! If you have something that you think we'd like (odds are you are probably right! ), please e-mail us and we'll see about hammering out a deal to purchase it from you! Please have digital photos or scans of items ready when inquiring. Please consider us first before making item offers to other parties... We will response to serious inquiries promptly, usually with 24 hours. To donate an item to the museum, click here to e-mail & make arrangements with us. Wood removed during the restoration of the "White House"
If it is encased in lucite or resin, and it is historically significant, we probably want it! In doubt? E-mail us! Any Battleship & Aircraft Carrier Deck Planking (We love teak!) from any nationality's navy... American is a plus! Almost any historical 'First Flight' Cover! Especially seeking 'Pioneer' airmail flights and 'Interrupted Mail' (Crash Covers).